That’s how far along I was at my last appointment with Aj. It was September 12, 2013. It was a totally normal, routine appointment with my doctor. My blood pressure was perfect, and I was only up a couple of more pounds since my last appointment. 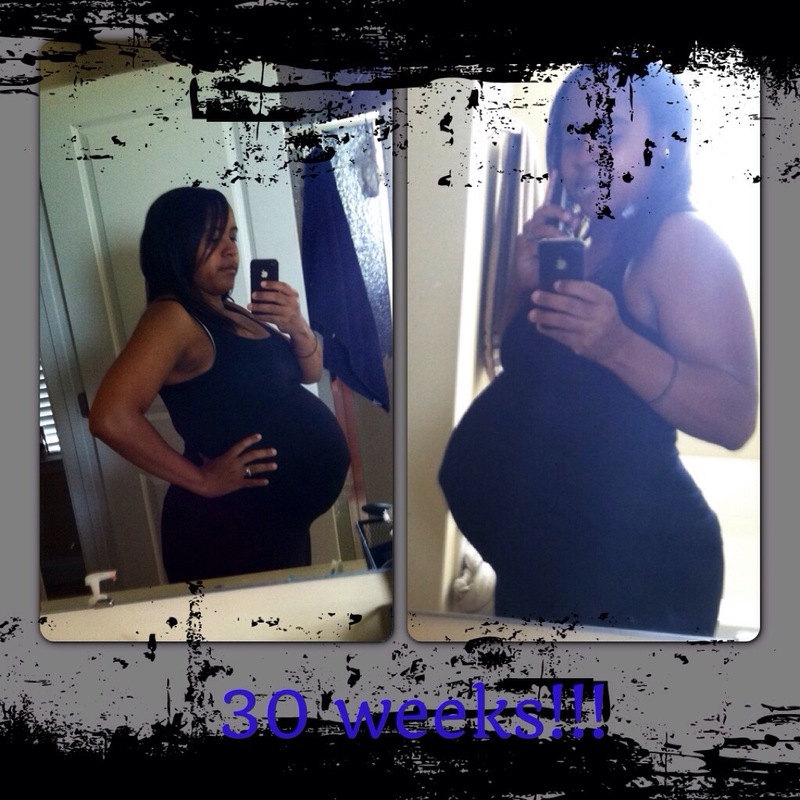 I told my doctor I had started having braxton hicks contractions, my body was getting in some practice for the big day!! Lastly, she pulled out her pocket Doppler and found AJ’s heartbeat. He was moving all around…..such a busy little boy. 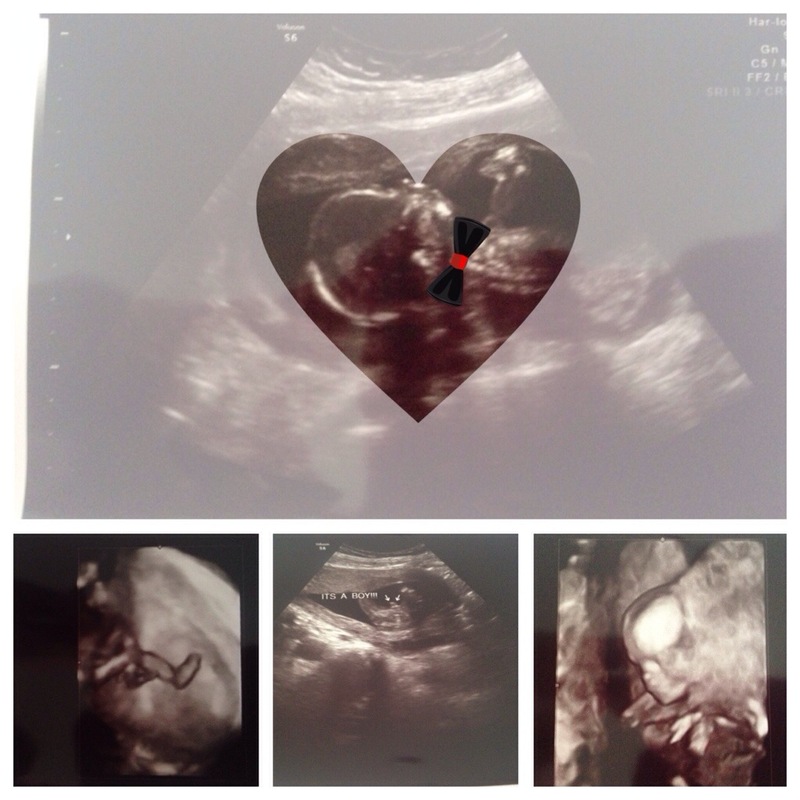 And that was it, I scheduled my next appointment and headed to my Mother in Law’s house to pick up my 3 girls…….4 days later, I’d feel my little guy kick for the very last time. 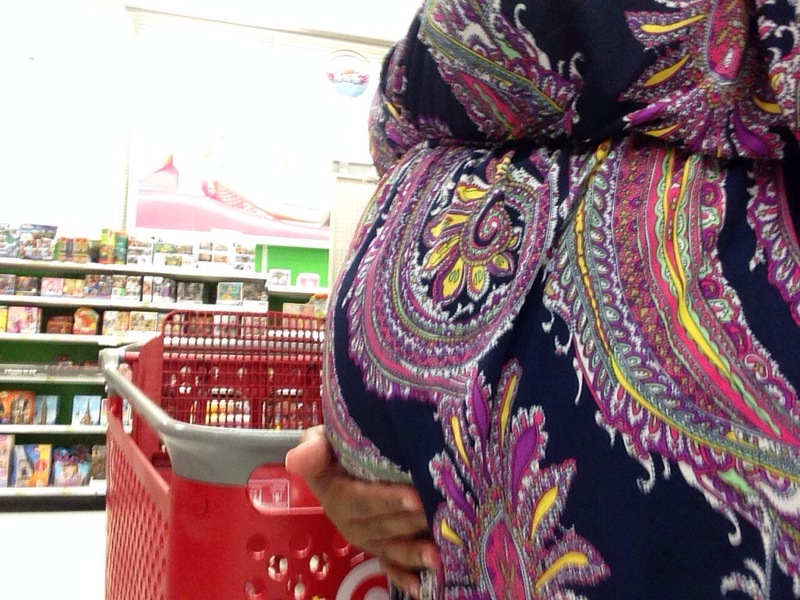 I’m 31 weeks and 1 day pregnant with Baby E today……and honestly, I’m a mix of emotions. I’m excitedly optimistic, but completely nervous as I approach AJ’s loss date. Everything is going well thus far, and our little boy is measuring a little bit ahead, but…..I was at this same point last time with Aj. Being a mommy to an angel baby, is sometimes a lonely road. It’s tough facing the reality that all pregnancies, even those that make it into the 3rd trimester, don’t guarantee a living baby. I struggle with expressing my emotions and fears, wondering if I’ll be misunderstood by those that haven’t walked this path of loss. I’m comforted by all the prayers and support….but sometimes the comments cut like a knife…..
Everything will be fine this time. Stop worrying, it’s not good for the baby. Trust God. You should use the faith that you say you have. I’m staring into the mirror, tears falling from my eyes. Is this really what they think? That I caused AJ’s death because I didn’t believe everything was going to be fine? Or because I worried too much?? Or maybe the reason Aj died was because I didn’t trust God enough or my faith wasn’t strong enough, so he punished me. This rainbow pregnancy has been tough. Though I do wrestle with fear, it’s not due to my lack of trust in God. 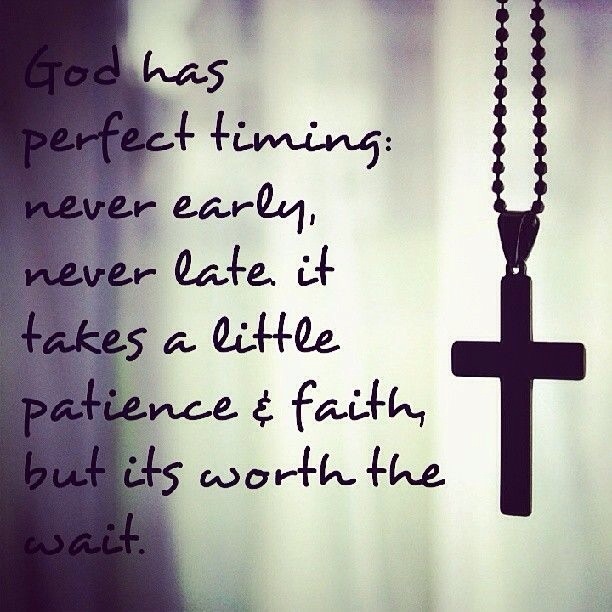 My faith is strong, stronger than ever and I trust in God and whatever plan He has for me and my family. His plan is only for good…..What I have embraced over the past 15 months is that my plan and definition of what’s good for me, doesn’t always match up with God’s plan. Sin in this world has caused death, destruction, and hard times….but God remains good no matter what situations we encounter. 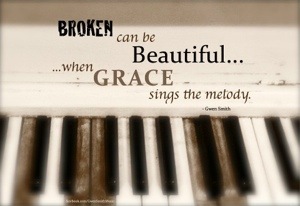 brightly through.I am thankful that what was meant to harm me, God has used to heal and strengthen broken pieces. I am thankful for Baby E who is kicking me in my ribs right now. I am thankful that I can profess that God is good all the time!! I’m standing in the window, arms caressing my round belly as the sun shines on my smiling face…. 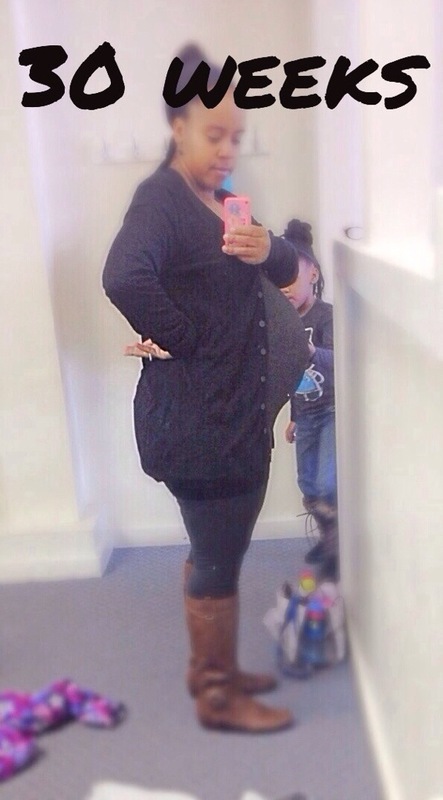 Yep, that’s how I pictured it….naive I know…..a blissful, anxiety-free rainbow pregnancy. I thought that I’d be glowingly happy and free of any doubt…..resting in complete confidence that this little one would be coming home with us at the end of 9 months. I was wrong. It’s much harder than I could’ve ever imagined. I thought my biggest faith test was continuing to trust God in the midst of confusion and grief after AJ’s death. Instead, the test continues, and I’ve spent the majority of the past 21 weeks face to face with my fears and doubts….. I didn’t feel him move as much today….Was I sleeping on my back last night? Was that a contraction? Where is my Doppler?Is his heart still beating? Don’t get me wrong, everyday is not plagued with fear and panic. There are moments of bliss, happiness, excitement, and joy. I am so very thankful for this little one….but sometimes, after a big kick, I can’t help but think will this be our last moment together? 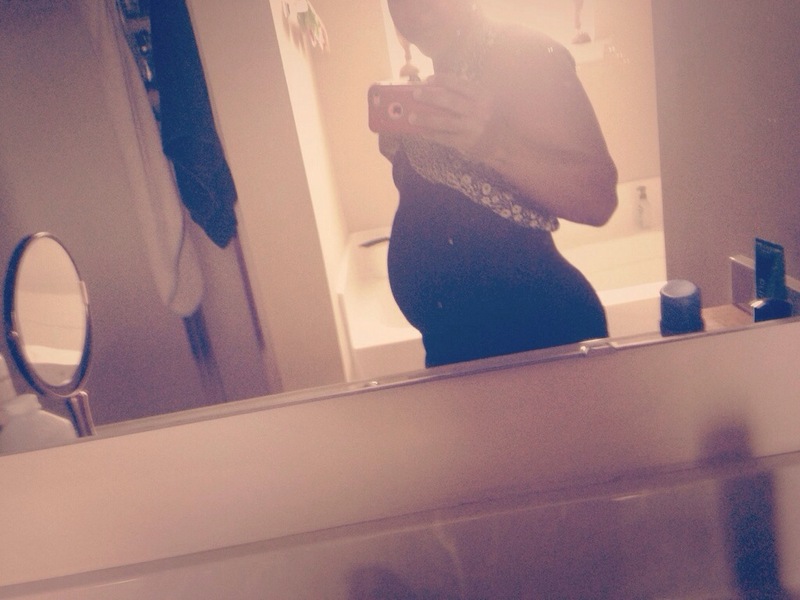 So there it is, I’ve laid all of my ugly fear and doubt out for all to see….but as scary and hard as this pregnancy has been, the truth still remains. God is good, and he is here. He is still with me as I travel this rough, terrifying road. 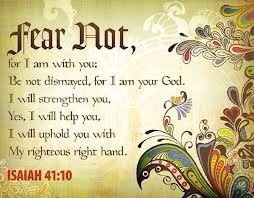 He comforts me as I battle my fears and holds my hand as I continue to walk through the grief of losing Aj. To share or not to share????? 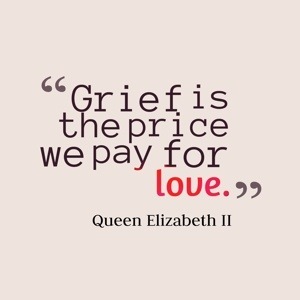 I’ve prided myself on being honest and transparent through out our journey of grief. I’ve been open about the negatives, anger, confusion, bitterness, and sadness. I’ve also shared the moments of hope, thankfulness, and growth. God has continuously showed up, and kept his grasp firmly upon me as I struggled to navigate the rough waters of grief…..every step of the way, God has been here. Now, we find ourselves starting a new and scary portion of this journey. 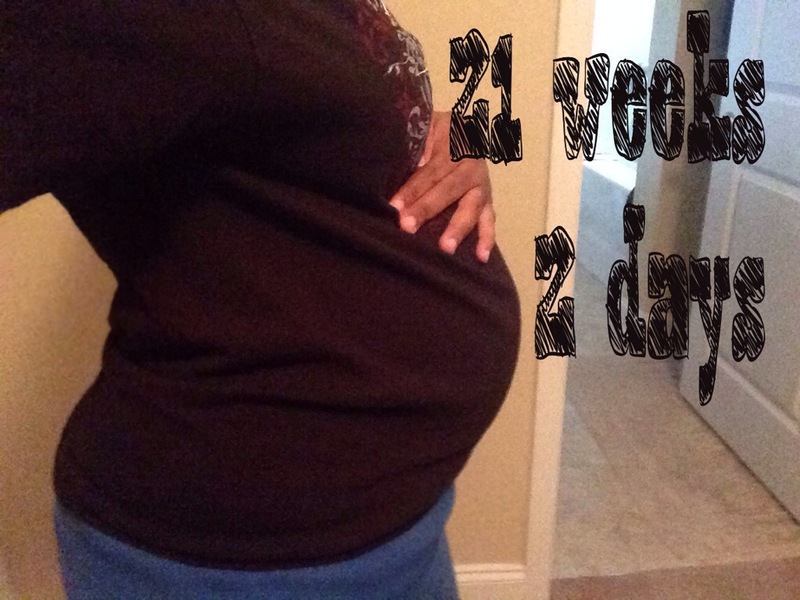 I’ve gone back and forth over the past few weeks, trying to figure out……should I share this news? Or should I sit in fear, anticipating terrible news? Honestly, I’ve spent the last few weeks as a slave to fear. I’ve been worried, anxious, and full of doubt. I found myself preparing for something bad to happen, and even drafting a plan for dealing with the bad news. I just couldn’t picture things going well, and I didn’t want to get excited or too hopeful. 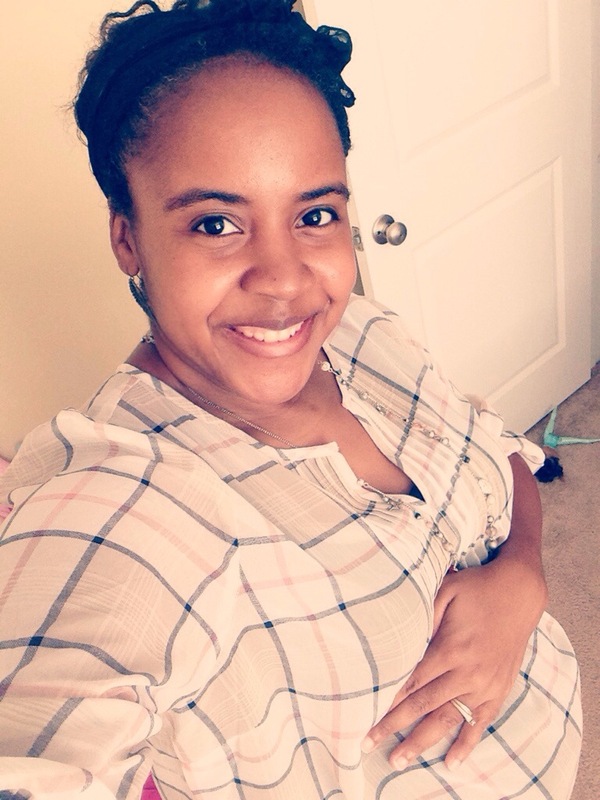 I was also afraid to share the news with some family and friends, because I didn’t want to hear the negativity or judgements….especially if things didn’t go well this time. I confided in a few trustworthy people, and sought prayer from every prayer warrior I knew……and slowly the shell of fear started to crack. I was able to (slowly) release some of that overwhelming negativity, and start to embrace a bit more hope. I also started to focus on my Heavenly Father. Just as he has carried me through the last 10 months, I know with confidence, he will continue to do the same now, no matter what the outcome. All He asks is that I continue to trust and rely on his strength. And that, I will do wholeheartedly. So, Anthony and I are excited to announce that we are expecting a baby Lilly. 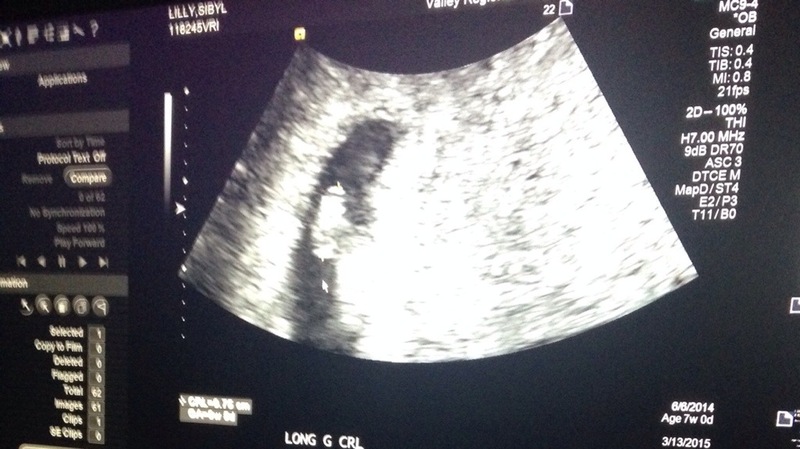 Yep, that little blob, has a heartbeat, and we are ecstatic. I know, that a lot of women shy away from sharing their early pregnancy news, but what Anthony and I have learned from our experiences with the twins, and Aj, is that there is never a “safe” time to share the news. 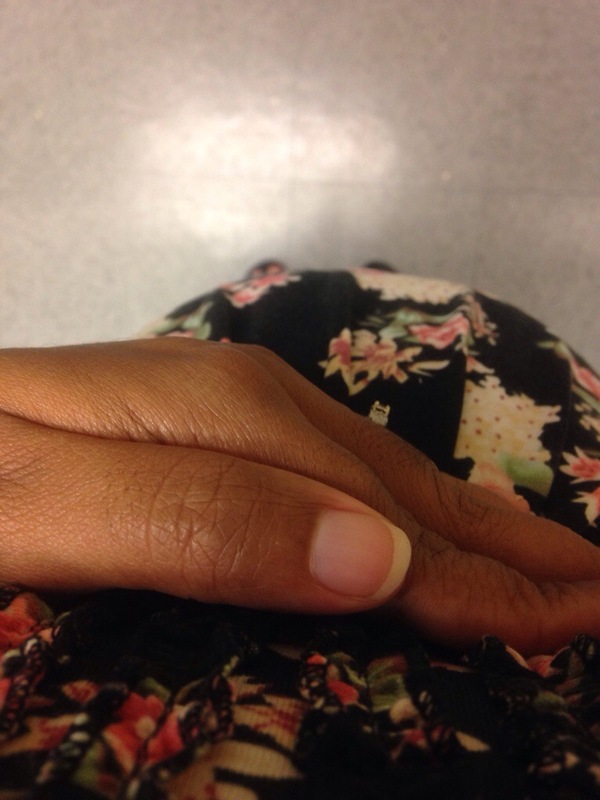 So we are choosing to enjoy every moment that we have with this little miracle….so today, I am pregnant, and thankful. And my love is so BIG for my little boy. The time has snuck past so quickly, and here we are, just 2 short months until AJ’s 1st birthday. Wow, I miss him so much…we all do. This journey has been rough. It’s still the toughest ever, and it is far from over. The hurt and grief from losing our boy hasn’t disappeared….we haven’t “gotten over” it. That would be impossible….. In the first few days after Aj died, I couldn’t begin to imagine how we would be able to keep moving without him here. We had planned and prepared everything for his arrival. And so quickly, he was gone. We were left with an empty corner, which once held his bassinet, and a heart so broken I wasn’t sure it could be repaired…..but there in all my hurt, sadness, anger, and brokenness, was God. He was willing to take me in at my darkest hour, touch my heart, and comfort me with His love. The last several months have been an honest testimony to the truth of God’s word. It is because of Him, and Him alone that I was saved from a different journey, into a darker place…..one that would have been full of crushing sadness, depression, loss of faith, and hopelessness. He is good!! Today, as look back over the past 10 months, I am thankful. 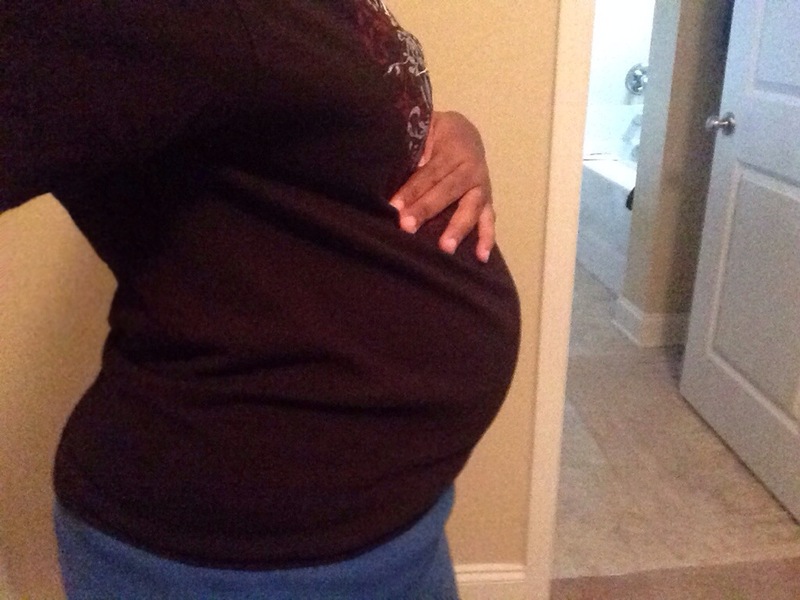 I’m thankful for the 8 months that Aj grew in my belly, and getting to know him as no one on earth ever will. I am thankful for all of my children, both in heaven and on earth. I am so blessed to be their mommy, and they mean the world to me. I am thankful for my husband. We are an unbreakable team! I am thankful for friends, family, and my church family, who have offered their prayers and support. And I’m thankful for opportunities that God has set into motion, that will allow his glory to be told through our story. Lastly, I am thankful for hope…..hope that doesn’t disappoint…hope that allows the sun to peek through the break in the clouds…. It’s been quite awhile since I’ve written…Although I’ve been busy with my girls, and enjoying family time with my husband, it’s been a hard month. I’d heard from other mommies of angels, that the 6 month angelversary was one of the hardest, and they weren’t kidding….. The last few weeks have been difficult. I’ve found myself struggling again with so many questions. Why did Aj have to die? Why didn’t I realize that he was in distress? Why didn’t I ask for an ultrasound at my appointment prior to his death? If I had been more aware, could I have saved him? Why did God not give me some type of sign so that we could prepare for this? Why couldn’t I give my husband a son? I thought that I had surrendered these questions to God earlier in my journey, but here they were again. I’d gone from complete acceptance, to a place where I accepted that Aj wasn’t supposed to live here on earth, but i wanted to know why. I felt either God had let me down or I messed up big time, and I wanted an explanation. I needed God to tell me where I fell short, so that maybe I could fix it, and do better. Did I need to pray more? Be more patient? Maybe I needed to memorize more bible verses? Or maybe I was just too sinful? Were the losses punishment? Had God singled me out for my unworthiness? I spent days reading, writing, crying, pleading with God to show me my error, or at least explain to me what was going on. I was so weary and frustrated. Of course, I never got the answer or explanation I was so desperate for, but God offered his comfort and love instead. How great is Thy goodness, which Thou hast stored up for those who fear Thee, which Thou hast wrought for those who take refuge in Thee, before the sons of men! Because of sin, death, pain, and sadness exist here in this world….but through God’s love there is victory. Although the verses I came across didn’t answer, in depth, the whys? and hows? it did cause a change in perspective for me. It reminded me that God and his goodness are unchanging. He wouldn’t punish my sins or actions with death and sadness. His son Jesus already bore my punishment on the cross. With this different perspective, I’ve found myself asking different questions. Why not me? 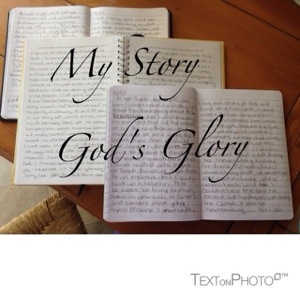 How can I use our losses, AJ’s death and our lives to glorify God? Those are the most important questions right?? This is the journey I (and my family) have been given. There are patches of sadness, hurt, confusion, and fear, but there is also hope and unwavering faith in God, that I want to share, and I hope has come across in my writing. Although terrible things have happened, God has remained unchanged and true to his word. His goodness shows up everyday…from the sun shining in the morning to the happy chatter of my 3 girls and their daddy at bedtime. He is always here and continues to give us so many good gifts. There is joy here….love…happiness….so much more than sadness and loss. 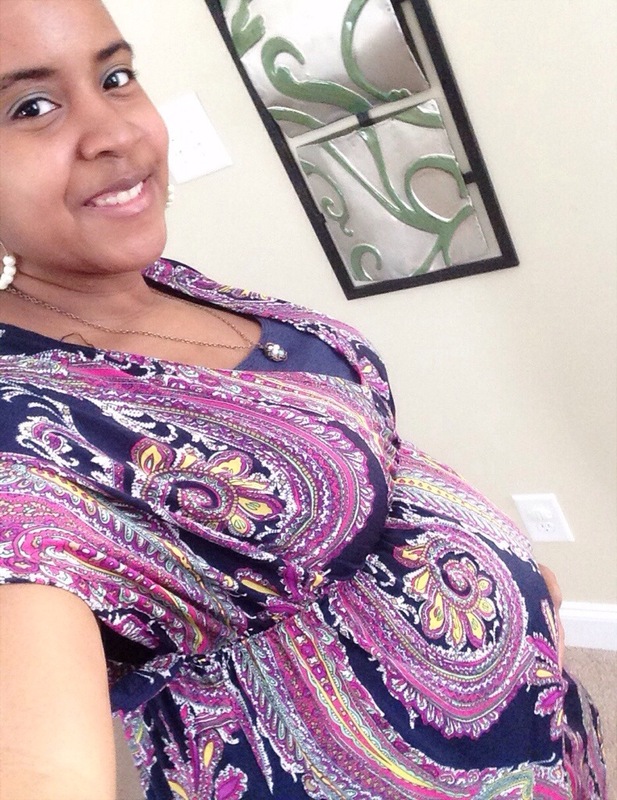 7 months…..Aj, mommy loves you today, yesterday, and always….I look forward to the day we will all meet again. We have endured something so traumatic and heartbreaking. Our faith in an Awesome God has kept us from giving up, or giving into defeat and hopelessness. He has truly showed us that He is here and will never forsake us. He has lifted us from the pit of despair, and planted our feet on solid ground…….for all of this, and so much more, I am so thankful. But still, my heart remains heavy. Of course, I am very much still grieving the loss of my Aj and his tiny twin siblings, all gone too soon. But I also mourn the honest expectations I had for AJ’s 1/2 year angelversary. At 6 months, I wanted to remember Aj and the 32 weeks he grew and wiggled in my belly, but I also hoped to be doing that with a new little bean nestled in womb. I know that a new little one would not replace my son, or make the pain of loss go away, but the hope that a new life brings……..the joy of mothering another little one……seeing my kids grow and love one another……all of the tears, sleepless nights, poopy diapers, stomach bugs…..even with the possibilities of loss…..it is worth it, and I long for another chance. Pregnancy has always come easy for me in the past, as I said before. 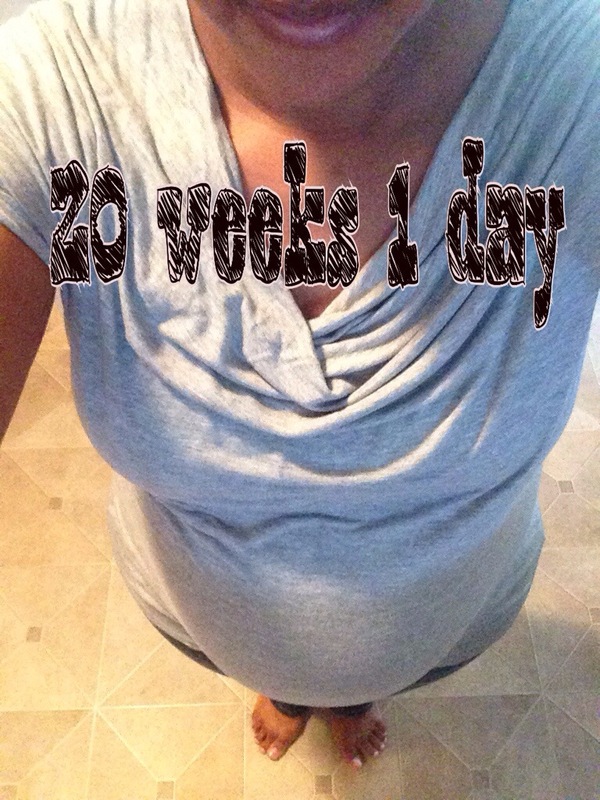 I’ve gone from 3 healthy pregnancies in a 4 year span to a missed miscarriage of twins and a stillbirth in a 13 month span….and here I am now, battling crazy long anovulatory cycles, along with frustration and fear. An area where I felt I had at least some level of confidence, has turned into a scary mess. Why does this seem to be getting worse instead of better? What is the lesson I am to learn? What am I doing wrong? Even in all this craziness, I’m not giving up….instead, I’m giving it to God. The frustration and fears…the control and the planning…..I will give those burdens to Him. 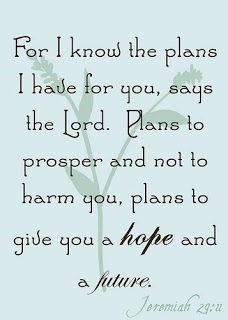 And I will continue to hope and to trust in him, and him alone. Here we are, just 5 days away from AJ’s 1/2 year birthday in heaven……and it hasn’t gotten any easier. The grief is still so big and sad, it just looks a little different. The shock has worn off, and we have transitioned back into our normal lives. My husband is back into the swing of things at work, and the girls and I are back into our regular homeschooling day. Life has moved on with such speed and busyness, but…….it’s different. It is a “new” normal clouded by the sadness of loss. I go about my day, but Aj is always on my mind. There is an ache in my heart, and a longing for just one more moment with my little man. At this point, I’m passed the why me? I have made peace with AJ’s death. I know that God has an amazing plan for me and my family. Losing Aj didn’t negate his awesome plans, but unfortunately it is a part of the journey he has laid out before us. Still, I find myself struggling impatiently with the waiting. I am ready for the next chapter to begin. The chapter where our weeping is turned to joy…..redemption for all that has been lost. take all of me that is broken, and make it beautiful. Missing Noah on We made it!! Elisha on We made it!! NineMonthsofLove on We made it! !